TORONTO, ON – Black Oak Brewery has announced a seasonal brand that debuted last summer is returning this week for another year. Beat the Heat is brewed with a Saison yeast strain to give flavour of clove, banana and citrus with the addition of coriander and orange peel that augment the yeast flavours to make this a complex flavoured brew. Saaz hops are used to achieve an earthy hop character while keeping the bitterness low; furthermore, wheat malt gives a full body to a beer that is only 4.5% ABV. Perfect for enjoying during our beautiful summers. 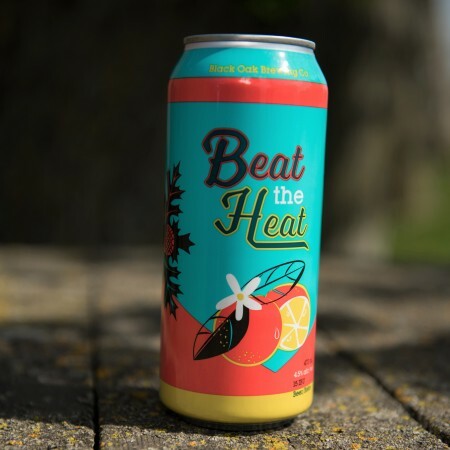 Beat The Heat is being officially launched for the year with a Summer Bash event at Black Oak (75 Horner Ave., Toronto) this Saturday June 3rd from 2:00 to 8:00 PM, featuring live Caribbean music, food, and 7 beers on tap including Beat The Heat. Attendees will also have a chance to sample Ouroboros Barrel Aged Saison, an upcoming limited edition release from the brewery. Black Oak Beat The Heat will be available through the summer in 473 ml cans at the brewery retail store, LCBO locations, and select grocery stores in Ontario.